Sometimes when I pick up my Syrian Hamster I find that it is vibrating. Its like they have batteries in them and someone switched them on! It’s quite a strange feeling if you are holding them, not to mention if you are seeing them vibrate in their cage. So why does my hamster vibrate? They are are simply purring. They feel comfortable in your hands and are just relaxed in this situation. This means that all is well with your hamster and you’re doing a good job at making them feel at peace. They may be a little energetic and their breathing reflects this. They maybe shaking and may need putting back in their cage if you are holding them. Check out their demeanor to see whether this is the case, you will know more than anyone. 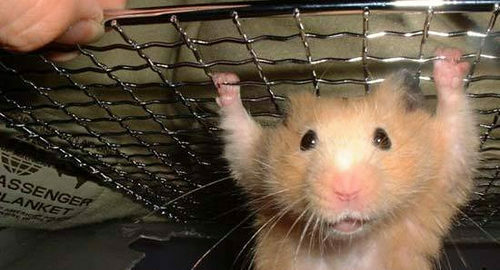 If they are in their cage, find out what is making them shake and scared. They may be cold. Be aware of the temperature in the room. If it is too cold they will shiver and it won’t be good for them. Why Does My Hamster Make A Clicking Noise? Why Does My Hamster Sleep All Day? Why Does My Hamster Hiss?